Pennsylvania's General Assembly, made up of a 203-member House of Representatives and a 50-member Senate, considers as many as 5,000 bills in every two-year session. 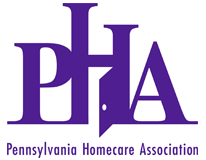 PHA keeps track of relevant legislation, alerts you when bills of interest are being debated in the two chambers and helps you when the time is right get in contact with your lawmakers to provide input. It's best to air concerns as early as possible, which makes understanding the legislative process important. Any member of the legislature can introduce a bill. Upon introduction, the measure is assigned a number and referred to the appropriate committee. Both the House and Senate have committees, which focus on specific issues and serve as the General Assembly's legislative workshop. Bills introduced by House members go to House committees; bills introduced by Senate members go to Senate committees. The committee chairman, who represents the chamber's majority party, decides what bills the committee considers. This is a tremendous power for a legislator. The committees comprise several members of both parties, but the majority party has more voting members. Bills brought before the committee are subject to review and debate. The committee may hold hearings and solicit testimony; members may propose amendments. Not every bill gets a vote. Approved bills go immediately to the chamber of origin's Appropriations Committee, where a fiscal note is prepared to detail the financial impact of the legislation. Bills in this committee face the same four outcomes, as noted above.